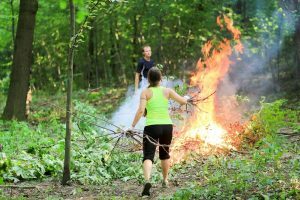 At the beginning of the year 2000, Kremenets Botanical Garden was on the brink of abandonment due to being understaffed, suffering from an unstable financial situation and threats of closure. By chance, New Acropolis volunteers met the garden manager, a person full of enthusiasm and dedication to carry out the Project. 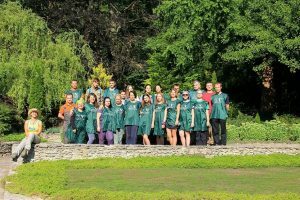 The idea of giving a “second birth” to the 200 year-old Botanical Garden inspired all the volunteers who participated from all the centers of the country. It has now been 16 years! 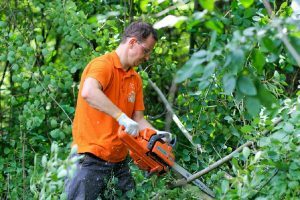 Each year, a 1 to 3-week long ecological camp is set up to work in the Garden: building stairs, extracting stumps, preparing tree planting sites, etc. The Garden is also receiving increased support from the State. 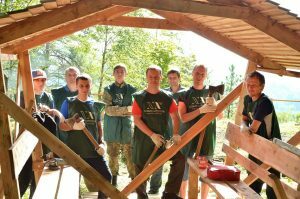 In July, New Acropolis volunteers had the task of building new recreation areas. Two observation decks, along with two pergolas were built, fences were installed and 800m2 of woodland were cleared. Volunteers also assisted staff in their scientific work with plants. 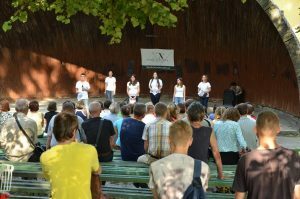 As a complement to the work carried out in the Garden, and with the support of the authorities of the city of Kremenets New Acropolis organized free outdoor activities dedicated to the Ukrainian poets of the twentieth century. An important contribution both to the ecological and cultural development of the city.